This week at Take a Word the theme is mail art. Most of the elements by Studio Manu. Perfect mail for Halloween, Christine, pleased to see you back!! 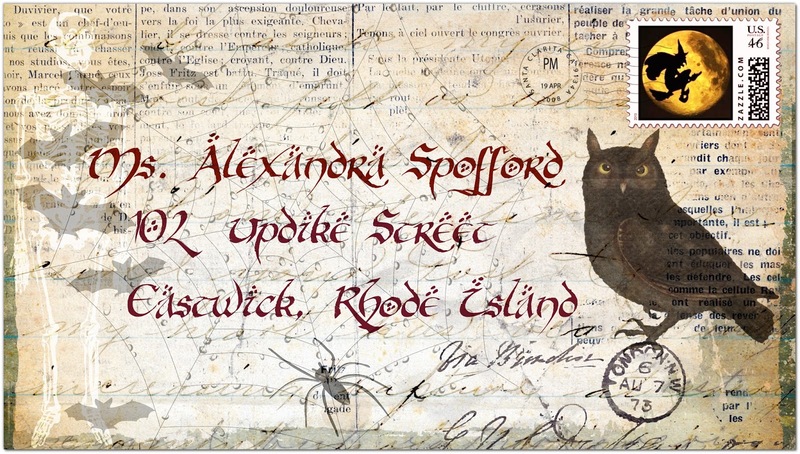 What a great piece of mail art with a Halloween flavour and a nod to the Witches of Eastwick. Fantastic. A lovely Halloween-themed bit of mail art, Chris. Applause from my corner! A wonderful Halloween Letter I love the calligraphy.